Picture your favorite food truck. Now picture that truck feeding free nutritious meals to children in need. That picture is a reality with our food truck, a.k.a. the "mobile tastiness machine." 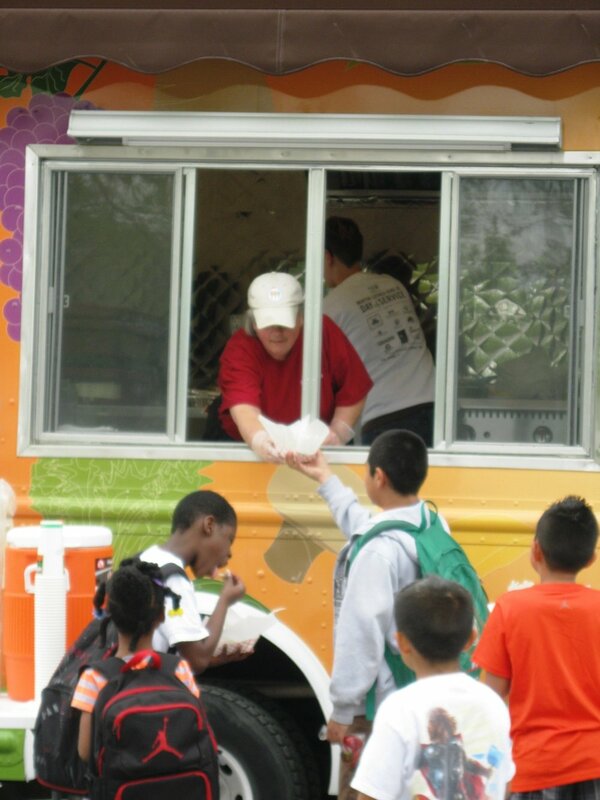 During out of school times, the Mobile Tastiness Machine (MTM) serves hot, healthy meals, prepared by our culinary staff and students, to kids in low-resource neighborhoods. Meals are often paired with nutrition education and physical activities to engage the children in a fun learning experience. Over 118,000 children applied for free or reduced priced lunch last year in the seven county area we serve. These school meals are clearly an effective hunger safety net, but what do these kids eat when school is not in session? 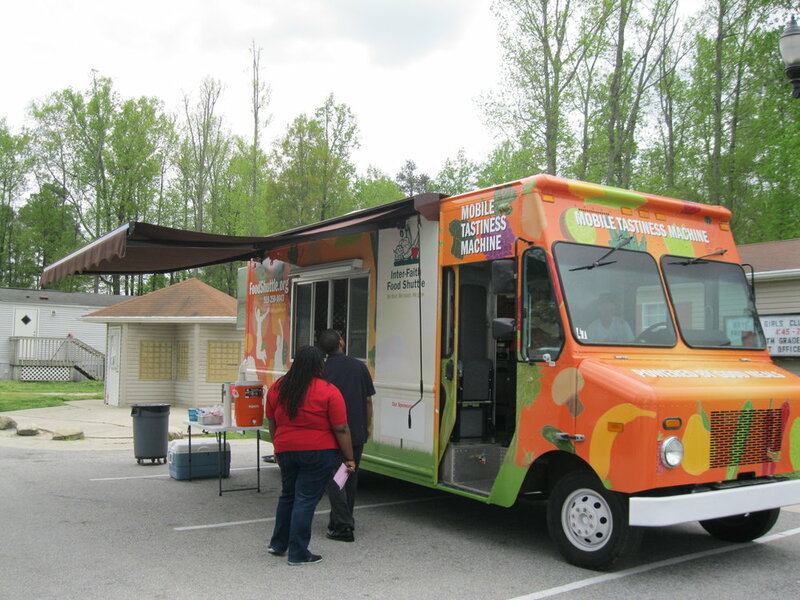 The Mobile Tastiness Machine goes where many of these children live, taking nutritious meals directly into neighborhoods where the need is greatest. Food insecurity and obesity can often go hand-in-hand. When a child lacks access to enough healthy, affordable food, he or she goes through cycles of deprivation and over-eating, high levels of stress, and eating cheaper processed food that is high in sugar, fat, salt, and calories - but low in nutrition. 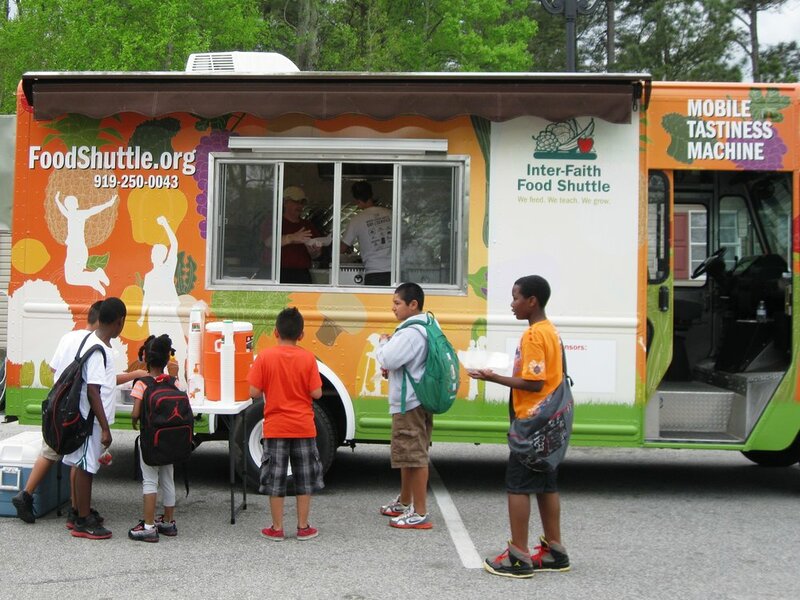 The Mobile Tastiness Machine not only brings a nutritious meal, but also provides games and activities to get children moving and learning about healthy foods. The MTM began providing meals in 2013 and now serves children in two different communities, two nights a week beginning April 30th. Inter-Faith Food Shuttle continues feeding at-risk children after school lets out for the summer, we just have to do it in different ways. Keep checking back for more information on how, where, and what children are eating this summer!